We first met John at Newman Aqua Ltd in March 2015 the brief was to create three offices and a meeting room to the ground floor within their impressive barn conversion in Ockley near Dorking, Surrey. 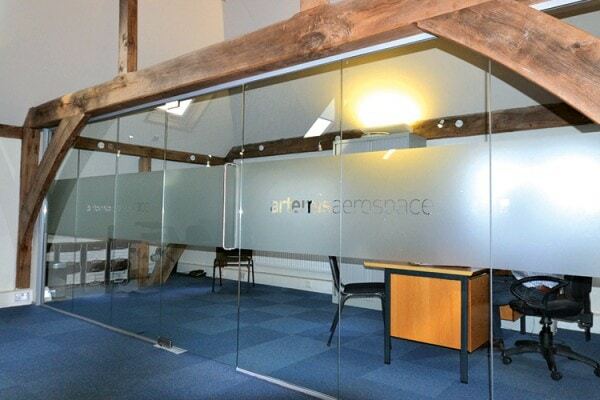 This project had to be completed within a very short timeframe because of the clients leaving their existing premises. 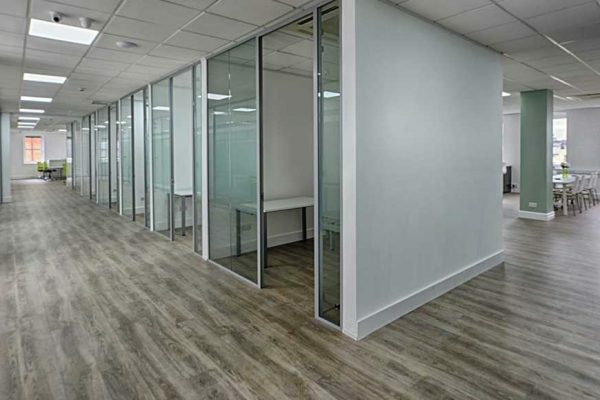 Due to the nature of the building, the lights and airiness we opted to install a frameless full height glazed partitioning system to the fronts of the offices and meeting room with tape and jointed stud partition walls to create the dividing walls. Thus giving us plenty of areas for filing cabinets and whiteboards yet still leaving a light and airy feel to the building. The partitioning exposed metalwork was powder coated black to blend in with the buildings existing framework. The installation of the framework for the glass fronts and doors including the stud partition walls was completed in just over a week. The following week the plasterboard walls were taped jointed and decorated to blend in with the existing building and at the ended that week the bespoke glass panels were installed. 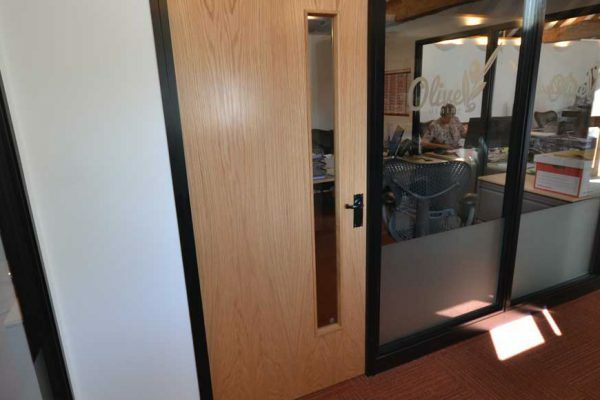 What’s really made this project stand out is the manifestation to the glass doors and panels, using the company’s logo as a centre point, this has created a modern stylish office which look great and has enhanced the clients look.